Luxury Living At A Great Location! 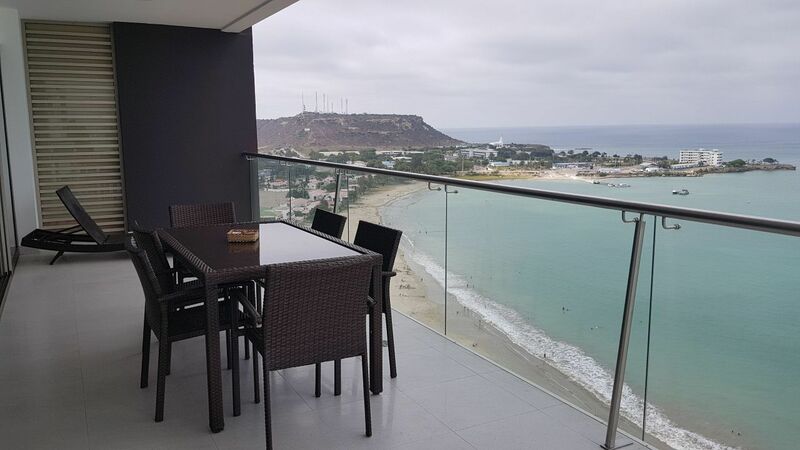 This is a brand new, high floor, four bedroom, four bathroom condo in Edificio Punta Pacifico. Located right near the military base in Chipipe, this condo is your dream come true! The panoramic views from the balcony are stunning! The living room, dining room, and kitchen are one large space...perfect for entertaining. The kitchen has brand new appliances, nice granite countertops, and a breakfast bar! The master suite is grand, with its own private full bathroom, and beautiful ocean views. The other bedrooms are a great size with bunk beds. Imagine if you can... an amazing package of amenities right outside your door. Here at Punta Pacifico, there is a spectacular infinity pool that looks out over the ocean, a jacuzzi, pool table, and a large social area. There is a second pool with a lounge area, a gym, sauna and steam room as well. You can enjoy these perks... all just steps away to the Pacific Ocean! What are you waiting for? This unit is being rented furnished, has split air conditioning units, and comes with two parking spots and a bodega. For a private viewing of this condo, please contact Kimberly at 098.621.2688 in Ecuador or 312.985.7703 internationally. You can also reach her at kimberly@ieiecuador.net.